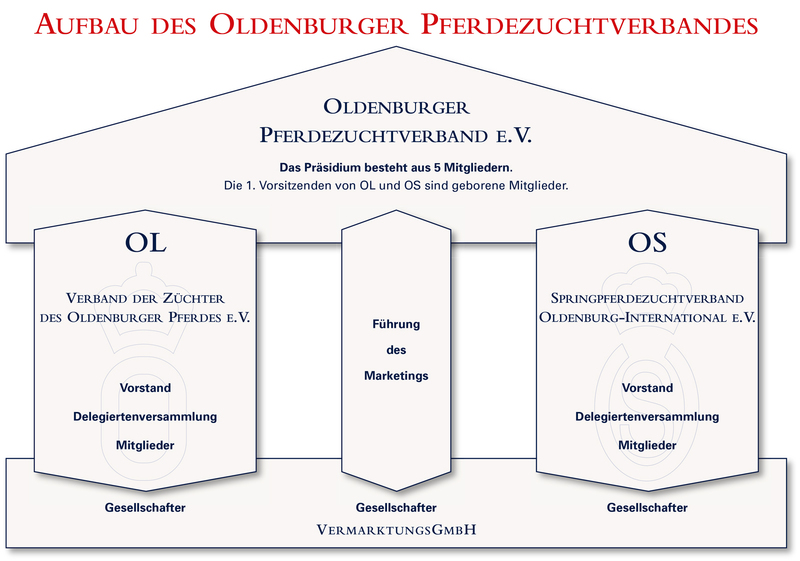 Oldenburger Pferdezuchtverband e.V., an umbrella organization, unites the Verband der Züchter des Oldenburger Pferdes e.V. (OL) and Springpferdezuchtverband Oldenburg-International e.V. 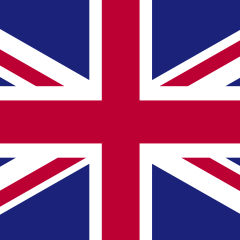 (OS). Wilhelm Weerda, President, Paul Schockemöhle, Vice President, and the executive committee members Dr. Albrecht Dalhoff, Gerd Sosath and Wilhelm Strohm. The umbrella organization is a strong community that unites all Oldenburg breeders. With the strengths of a large organization – especially competence but also an influential network consisting of various contacts and relations – it allows economic know-how to grow and deploys this as an effective spearhead in competition. One particular advantage is that the umbrella organization creates a loyal and inseparable connection between the Oldenburg Verbands but allows OL to concentrate its orientation on dressage and OS on show jumping. OL and OS can thus each maintain their independence in breeding and further develop their own strengths through their specialization. The objective of the umbrella organization: economically-oriented actions in keeping with the spirit of the times, fewer decisions that require broad consensus in regard to breeding and progress achieved by these means – just like Oldenburg has always done traditionally.